The Dow Jones Industrial Average has been under the 20 day moving average for a couple of days. And it’s now on the 50 day MA. Previously we talked about a potential homebuilder recovery in 2014. But that seems to be a myth. Just look at the chart of XHB heading into August. Amazingly, US GDP printed 4% growth heading into August 2014. While this might seem like good news, will it cause the FED to raise interest rates sooner? Wall Street logic isn’t always intuitive. The US dollar is absolutely spiking. Pull up a chart of DXY (dollar index) and see for yourself. It looks like it could keep running. This could logically correlate to a draw down in equities. But on the other hand, depending on the move relative to the Yen, the carry trade might not unwind after all. Confused yet? Junk bonds are finally getting hit hard. Is this a warning sign of things to come? Or could it be that investors are getting more cautious and just asking for higher yields in riskier issues.? As you can see, it’s easy to muse about all of the confounding factors influencing the stock market, heading into August 2014. But drawing a firm analysis is much harder. Personally, I prefer to focus on what’s within my control and not get too dogmatic about correlations or macroeconomic implications. Find good companies and trade them well. Simple as that. And By The Way: If you’re curious about my focused approach to the stock market, I encourage you to download my eBook free below this blog post. You’ll also get weekly updates with some of the best tips and tools to help you improve your approach to the stock market. 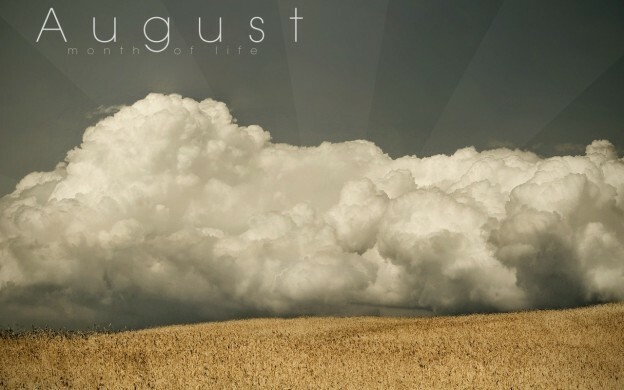 This entry was posted in Stock Ideas and tagged stock analysis on July 31, 2014 by Jworthy. AGCO is an investment idea I’ve been looking at for a while. Here’s the original AGCO analysis. But because of the recent AGCO technical analysis, I’ve held of from building my position. But you know what? I don’t like to give insider buying too much credit. Because managers aren’t necessarily good investors. But when someone takes a massive stake, it’s hard not to pay attention. In this case, Mallika Srinivasan has directly and indirectly acquired over 5.6M shares of AGCO (AGCO insider buying data from Nasdaq.com). So who is this mysterious buyer? Mallika Srinivasan is a former Ernst and Young Entrepreneur of the year and Chairman and CEO of TAFE, a $1.6B Indian tractor manufacturer. She’s also on the board of AGCO and TATA motors. Draw your own conclusions from this. AGCO sells farm equipment through a network of dealers. So connections in the agriculture company are obviously important. An AGCO executive getting elected to president of CEMA – the association for agricultural machinery in Europe – seems like a positive development for AGCO’s influence in Europe. AGCO has some exposure in Russia and Ukraine, which some cautious investors might see as a red flag. But AGCO operates in over 140 countries around the world. So it’s likely the influences of any regional conflicts will be minimal. Going into earnings, analyst expectations are mixed on AGCO. But even though the average rating is HOLD, the average price target of $59 represents almost 15% upside from here. What do you think about AGCO going into earnings this year? And By The Way: If you’re looking for more insight and ideas on how to analyze stock picks, I encourage you to download my ebook below, The Intelligent Swing Trader. You’ll also get weekly emails sharing the best tips and tools for improving your approach to the stock market. 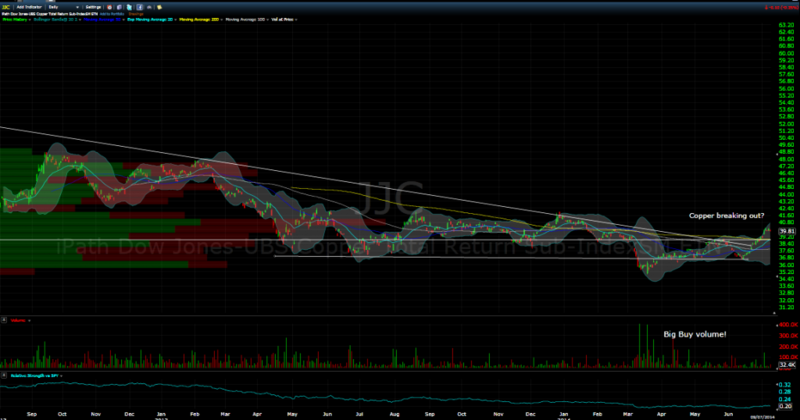 This entry was posted in Stock Ideas and tagged AGCO analysis, stock analysis on July 26, 2014 by Jworthy. The First Tycoon is a Pulitzer Prize winner, a National Book Award Winner and a New York Times Notable Book. So in this book review I’ll give you a detailed look at what you should expect from The First Tycoon. I’ll share my favorite parts of The First Tycoon so you can know exactly what you’re in for before buying the book. 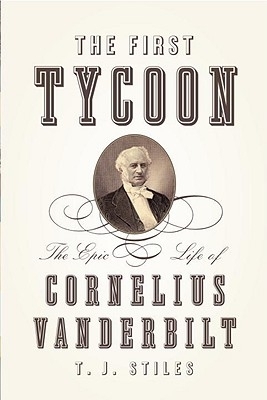 The First Tycoon tells the dramatic and inspiring story of Cornelius “Commodore” Vanderbilt. The book starts in 1794 and spans the entire life of this American business icon. It details his early days on his father’s New York farm. And then shows how Vanderbilt first got into business by developing his skills as a sailor and running a small sailboat ferrying supplies and people between Staten Island and Long Island. From there, things only get more exciting. The First Tycoon shows the characteristics and influences that shaped Vanderbilt’s approach to life and business. It explains how he got his first job, and saved up money to buy his own boats and start his own enterprises ferrying people and supplies around New York Harbor and the surrounding areas. From there, Vanderbilt continues to get involved with shipping, sailing and the exciting new development of steamships. The biography also does a great job showing how Vanderbilt’s character traits influence his approach to business, and make him an efficient and effective business operator. Of course, Vanderbilt’s rise to power wasn’t a smooth sail. The world of early American enterprise was a competitive and challenging world, where disputes were often settled with fistfights. It’s neat to see how Vanderbilt relied on his physical stature and strength to intimidate competitors and slap sailors into place. From there, Vanderbilt’s empire continues to grow, as he established steamship lines around America and played a pivotal role in the development of California. He also worked closely with the government, and went to great lengths to support the North during the American Civil War. 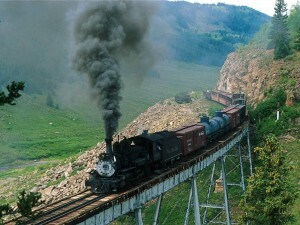 Vanderbilt used innovative corporate structures to develop a railroad empire. Vanderbilt’s success continues to snowball as he turned his focus from steamships to railroads. Vanderbilt used the new corporate structure to build an empire and a Dynasty that would last long after he passed away. The First Tycoon is an incredibly eye opening and informative read that shows the factors, forces and influences that made Vanderbilt such an iconic business man. Now that you have an idea of what The First Tycoon is all about, let me tell you what the best parts of the book are. I can’t stress it enough: The First Tycoon is an amazing read. It’s a very inspiring story. And the book gives unparalleled insight into this American business icon. And there are two aspects of the book that I keep reflecting on. First of all, The First Tycoon does a wonderful job highlighting not only the history and development of Vanderbilt, but also the development of New York City, and America as a whole. This shouldn’t come as a huge surprise, since Vanderbilt was such an influential figure in the industry that helped power America’s development. But it’s incredibly insightful to see how Manhattan developed from a little trading outpost to the hub of American finance and business. Secondly, The First Tycoon is incredibly well-researched. The biography gives a fair, objective and balanced look at the life of Cornelius Vanderbilt. 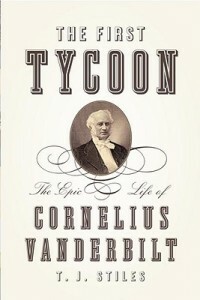 While a lot of other biographies of Vanderbilt focus on his status as a “robber baron,” The First Tycoon takes a much more careful and nuanced look at the life and times of Commodore Vanderbilt. One particularly interesting aspects is how Vanderbilt not only used his operational abilities to grow his business, but also how he embraced the innovative corporate structures that were developing in the mid-1800’s. It’s hard to appreciate now. But Vanderbilt’s ability to build an empire using consolidations of corporations was entirely unprecedented at the time. The First Tycoon is a great read, especially if you have some time to relax this summer or if you are looking for inspiration for your own business ambitions. Before reading this book I really didn’t appreciate the role of Cornelius Vanderbilt. But now I can’t stop thinking about his amazing influence on the world of commerce. For that reason, I recommend you buy The First Tycoon on Amazon . The only word of warning is that this book is a bit of a tome. It comes in at about 600 pages, and although the story of Vanderbilt moves quickly it is a bit of a commitment to get through this book. But when you realize how much Vanderbilt accomplished it’s amazing the book wasn’t longer. If you’re still looking for more information on The First Tycoon, check out the video book review below. This entry was posted in Stock Ideas and tagged book review, the first tycoon on July 20, 2014 by Jworthy. AGCO manufactures and sells farm equipment, like tractors, combines and grain storage facilities. While sales have leveled out a little earlier in 2014, operations are going well. If you think people will keep eating food, AGCO seems like a good way to profit from it. 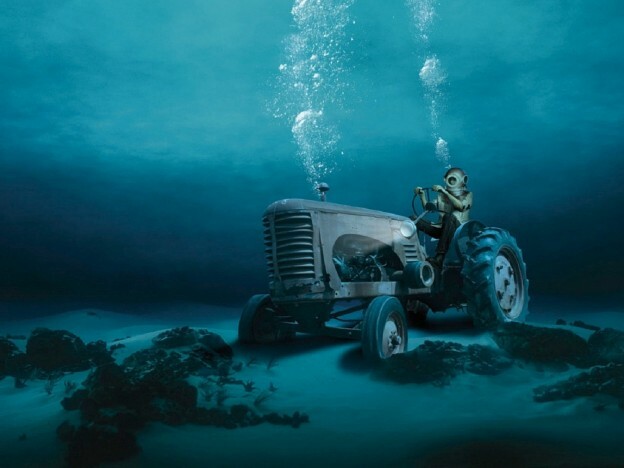 But could this tractor company be temporarily under water? On the daily time frame, AGCO has seen a lot of selling. (Click to enlarge). As you can see, there’s a ton of selling hitting the stock. The red bars are, on average, bigger than the green bars. Surely that can’t be good. And it’s not. 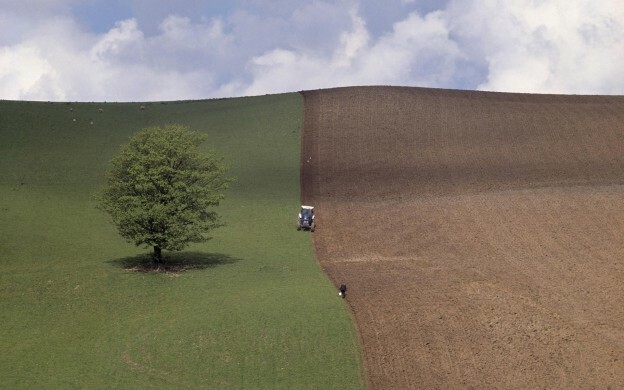 AGCO sits at a bit of a crossroads. If it fails to find support, the sellers could finally crack their nut. And that could lead to a tough harvest for stock holders this fall. But when you look at the fundamentals, the company is a little under-valued, generating huge cash and has a very strong business. So what’s an individual investor to do? And (disclosure) because I already own a little AGCO, I’m not in a rush to buy more just yet (especially since there’s no dividend). 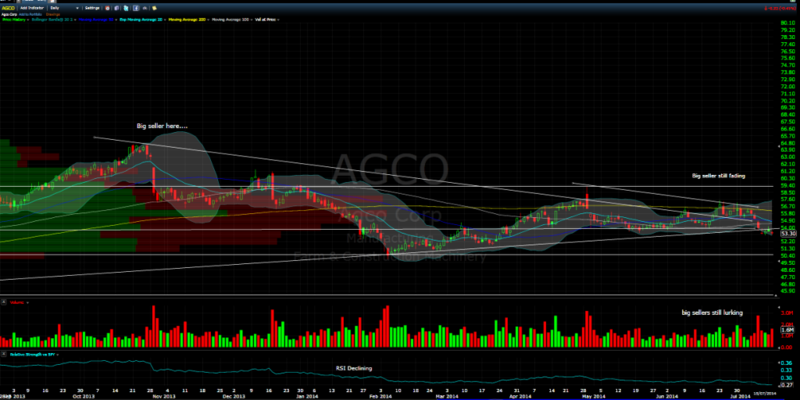 I plan to add to my position if AGCO forms a short-term double bottom at $50.50. Or I’ll start buying if the stock begins to put in a couple of higher lows. Success in active investing can really be helped by a basic awareness of technical analysis. A little position management can go a long way. And it’s not hard to do a bit of “if/then” contingency plan. Although I’m eager to buy AGCO for the long term, I’m happy to wait for an intelligent entry. I’ll wait for an uptrend to resume (seen by 2-3 higher lows) or on the bounce up from a bounce to $50.40. That’s intelligent swing trading. And By the Way: If you’re still looking for more information, download my eBook – “The Intelligent Swing Trader” – on the side of this page. You’ll also get email updates for new trade ideas that show you how to determine if stock market opportunities are for you. This entry was posted in Stock Ideas and tagged AGCO analysis, stock analysis on July 16, 2014 by Jworthy. Nevsun Resources (NYSE:NSU, TSE:NSU) is a small cap mining company headquartered in Canada, but operating in Africa. So what’s the story with NSU? Why is it a stock pick worthy of analysis? And is it good for a trade or investment? In the last year or so, NSU has made the transition from a gold miner to a copper miner. And by all accounts, things are going pretty well. For an in-depth update on the fundamental picture, try reading this Nevsun Resources Seeking Alpha Article. “To give you a sense of how well we [NSU] have performed so far this year, I point out that during the first quarter of 2014 alone, our net income and cash flow from operations was greater than all of 2013. So while there is some political risk for NSU’s operations, they are really starting to ramp up sales. Their dividend yields over 4%. And there are also some other highlights worth mentioning. For example, the company’s market cap is about $780M, and they have over $400M in working capital (about $1.69/share in cash with no debt). And since the copper production transition is nearing completion, CapEx should could down a lot this year, which will provide a big boost to free cash flow. To get a better picture of NSU’s financial condition you can read NSU’s key stats on Morningstar. Now let’s look at NSU more specifically. While the stock is still dealing with some overhead supply, it’s gaining momentum over the longer term and looks to be peaking above key resistance. And it’s been gaining steam above the 20 day moving average, while the 50 and 200 day moving averages are turning upwards, which might be a sign momentum is picking up. NSU has been building a stable base. Will this trend strengthen? (Click to Enlarge). If you take a closer look, the NSU hourly chart shows some large buyers coming in to support the trend. Will buyers keep showing up to support this trend? So far so good. (Click to Enlarge). For the sake of disclosure, you should know I own a small position in NSU. I’m looking to add more shares on a pullback to the 20 day moving average. And if the operations remain on track I’ll double down on a pullback to 3.50. That’s not investment advice and you should do your own research. But I wanted to share how I’m thinking about this stock idea. Make sense? Updated: Since originally drafting this post, NSU has pulled back a little bit, but remains above the upward-sloping 20 day moving average. I am now watching to see how NSU consolidates before adding more to my position. 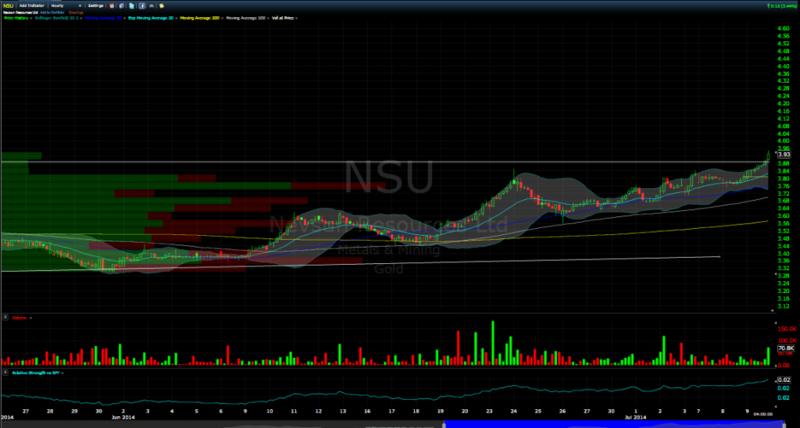 If NSU bases out for a few days above the 20 day moving average and then starts to go higher I may add more. If it pulls back to the 20 day moving average more sharply, I’ll probably buy it once it starts bouncing. Again just sharing my thinking for educational purposes and it’s no endorsement that trading plan is appropriate for you. And By The Way: If you’re looking for more information on how to find and analyze your own stock ideas, you can download my free eBook using the form below. You’ll also get weekly tips and tools to help you make more confident stock market decisions. Check it out! This entry was posted in Stock Ideas and tagged nevsun resources analysis, stock analysis on July 12, 2014 by Jworthy. There are lots of 2014 Stock Market Crash Predictions. And going into the second half of the year, you might be wondering if the stakes are getting higher for a stock market correction in 2014. And I wouldn’t blame you. In this short post let’s look at some of the most popular predictions for a 2014 stock market crash. Additionally, I’ll also share some external resources that I use as potential indicators for a stock market slow down. Sound good? That means by the end of reading this post you should have a strong understanding of why people have predicted a stock market crash in 2014, as well as some possible signs to keep an eye out for. I can’t guarantee to protect you from a stock market crash in 2014 or any other time. But here are some of the things I’ve seen people talking about. While predicting a stock market crash is not really my style (in 2014, or any other year), it’s still an interesting intellectual exercise to think about the possibilities of stock market mayhem. 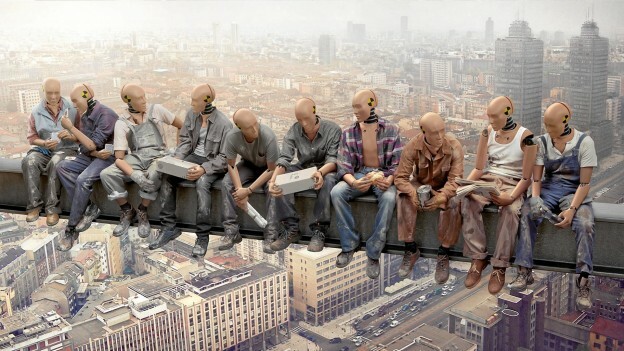 But here are some of the more reputable individuals I follow who have warned of a stock market crash this year. Perhaps the most famous word of warning for stock market participants in 2014 comes from David Tepper. At the SALT conference in Las Vegas a few months ago, Tepper warned fund managers not to be “too friggin’ long”. This call for prudence in the 2014 stock market made major headlines earlier in the year. Another place to look for stock market crash predictions is the ForEx market. The world of currency trading is still a bit foreign to me (no pun intended). But as I understand it, keeping an eye on the global money flow can give you an added advantage when navigating the equity universe. That’s why my attention was piqued when ForexKong made a 2014 US equity top call. So if the Yen can make a sustainable move higher this is a definite warning sign of a possible 2014 stock market crash. For stock traders, watch if FXY can rally above the 96 level. Back in the world of common stocks, another 2014 stock market crash prediction that caught my attention came from former BlackRock portfolio manager Bluestar. 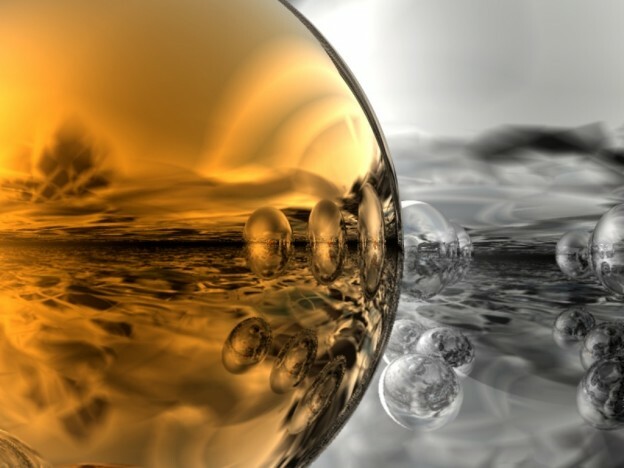 A few months ago he warned “We Are Topping.” That link shares some hard to ignore facts about the global liquidity situation and what i means for individual investors, especially in terms of growth stocks. So as you can see, there are a number of big and small market players warning about a 2014 stock market crash. But whether a crash unfolds, well, only time will tell. So how are you preparing for a market crash in 2014? Is it something you would predict too? And By The Way: If you’re feeling a little unsure about your stock market posture, I encourage you to download my free eBook below. You’ll get an inside look at how I developed an approach to navigate the stock market and improve my returns. Each week, I’ll also send you my favorite tips and tools for improving your approach to the stock market. Why not give it a try? This entry was posted in Stock Ideas and tagged stock market crash prediction 2014 on July 8, 2014 by Jworthy. Thank you for visiting stockideas.org. I'm a value investor but, I use swing trading techniques to manage my position sizes and risk. So that's what you can expect at stockideas.org - and in my free eBook above. What is a Credit Score & How Does It Work?